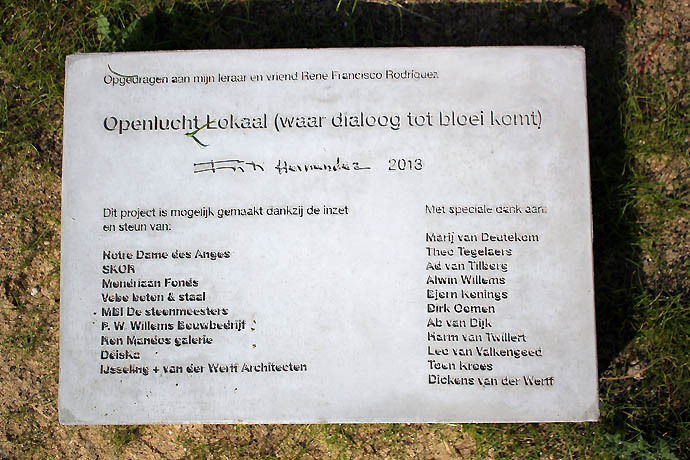 This project is my response to the invitation made by the school Notre Dame des Anges (Ubbergen, The Netherlands) and SKOR (Foundation for Art in Public Space, The Netherlands) to design and build an art piece that could serves as an outdoor classroom. 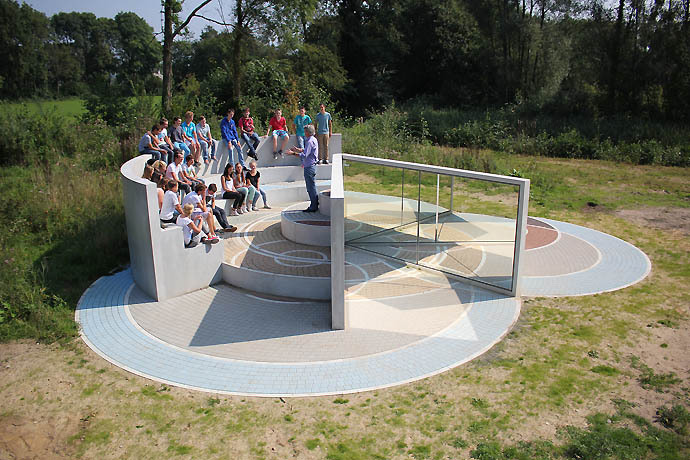 Openlucht Lokaal… creates a quality environment for the school’s garden, enabling students and teachers to give and receive educational training in a unique outdoor classroom. The design specifically takes the learning ideals of the school as a starting point and makes use of the public space to house a learning environment. The students who take classes in the classroom enjoy a learning experience outdoors while becoming acquainted with contemporary art expressions. This piece fits very well with the interest to integrate my artwork with the community at large, blurring the boundaries between art and daily life. 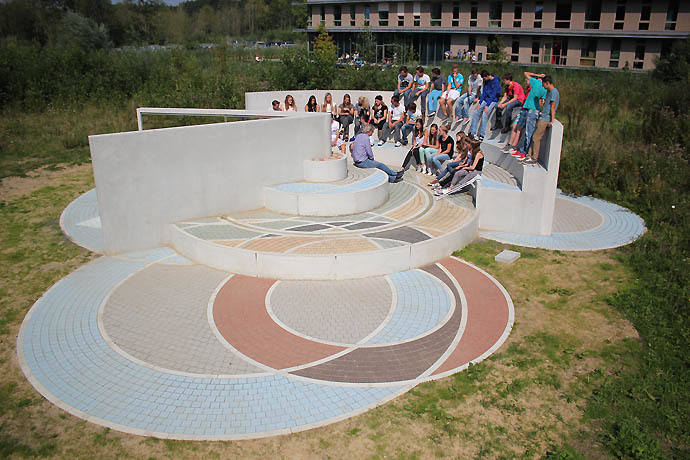 The piece creates an encounter place for students and other members of the school while be accessible for visitors and people passing by. 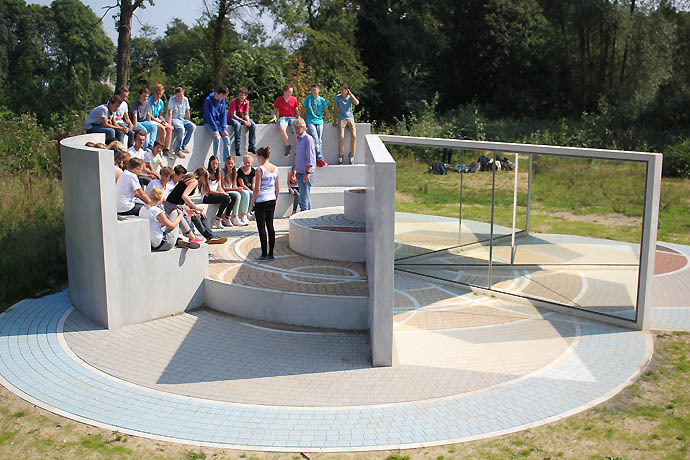 Surrounded by a fantastic green area, Openlucht Lokaal… embodies the key two pedagogical principals of the Notre Dame des Anges school: the use of a horizontal teaching methodology to generate knowledge and their philosophy to support a harmonious coexistence between man and nature.